API-first content management systems (or Content-as-a-Service) are becoming more prominent and we’re seeing more clients moving towards decoupled architectures with multiple products working together to deliver the final online experience. There are many products to choose from in the CaaS space, all focusing on the creation, curation and delivery of content. Kentico Cloud is a compelling addition to the CaaS space and I’m a big fan of the features and services it offers. Most of you who follow my posts will be familiar with Kentico EMS, a product I’ve been writing about for many years. Unlike many of the traditional CMS vendors, Kentico has steered away from simply providing a “headless mode” for Kentico EMS and have instead developed a separate product to conquer the CaaS space. Kentico Cloud is an API-first CMS and works as a content hub, allowing you to create pure content without dependency on a specific channel or medium. This approach enables you to take a pure omni-channel view, creating content that can be served from this central hub to any channel – whether that be your website, a Progressive Web App, smart watch or home assistant. The possibilities are endless. For Content Strategists and Developers this is content nirvana. We all know that users no longer interact with brands and businesses through a single channel. 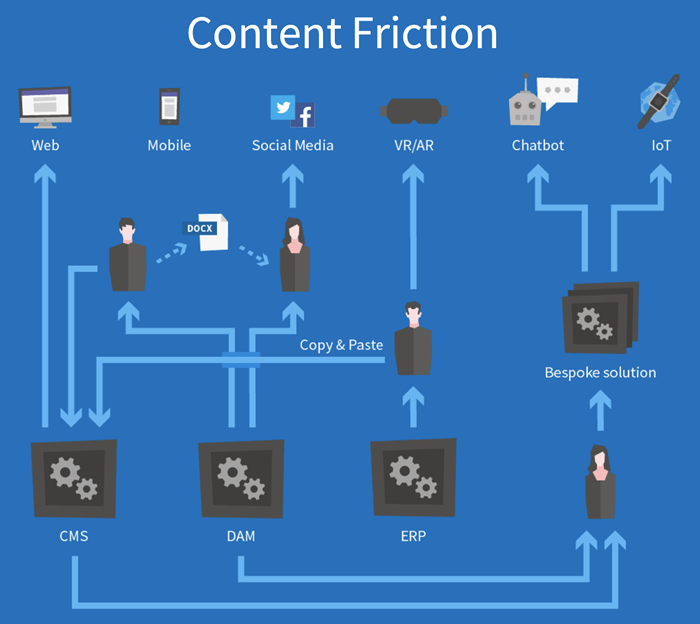 This approach enables us to remove the age-old problem of content friction (the same content being managed in multiple places, inconsistencies in content across channels, etc.) and deliver a consistent voice and tone across every touchpoint. It’s an exciting time for both developers and brands. As developers, we are now able to truly embrace modern architectures and technologies to deliver the incredible experiences we’ve always dreamed of. With API-first, the developers have the ability to create the content models purely from API, which is music to their ears! For those of you who have made the decision to adopt Kentico Cloud, I wanted to pull together a guide for those getting started, highlighting my top tips for smooth sailing on your Kentico Cloud projects. 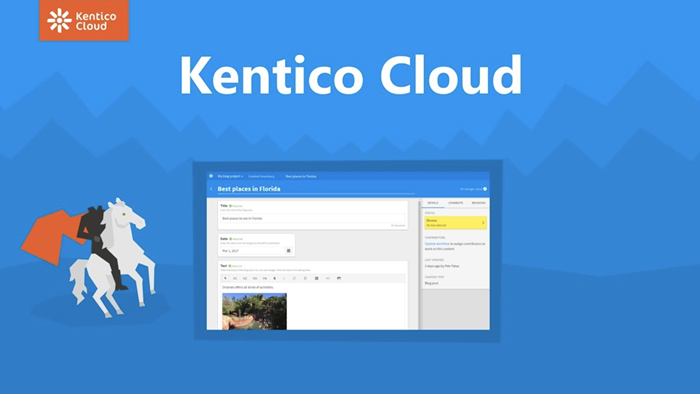 There are plenty of useful guides, helpful tutorials and videos to start using Kentico Cloud. My advice would be to get to grips with these first. This will give you a clear understanding of how the product works and some of the key themes which will persist throughout your Kentico Cloud development. A great place to start is with the onboarding information - http://help.kenticocloud.com/get-started-with-kentico-cloud. The core documentation can be found here. It’s a searchable knowledge base which will help you understand the basics of the platform. I would spend some time on the Kentico Cloud Interactive Guides. The step-by-step guides are a great way to ease yourself into this approach. Context is always great so I would recommend following this tutorial on producing some sample content in 5 minutes using a step by step guide - Hello world in 5 minutes. Every product has its own lingo so it’s important that you get to grips with the Kentico Cloud terminology. I would recommend sharing this with your content creators and strategists. Speaking the same language is invaluable when tackling a “headless” project. And finally, I would recommend delving into the interactive guides within the app, e.g. https://app.kenticocloud.com/?imWidget=1. These interactive guides help you navigate around the system and give you some great hands-on experience. Kentico Cloud is one part of the ecosystem. Depending on the size and scale of your project, there are likely to be several moving parts. A strong and considered architecture can make or break your project. Putting time and effort into considering the architecture up front will pay off in the long run. There’re many things to consider – the relationship and integrations between each component, the decision over whether to introduce a GraphQL (a query language for your API) layer for abstraction, what front end technologies/frameworks you plan to use (which in turn informs your team composition), etc. It’s worth looking into the SDKs (Standard Development Kits) that Kentico Cloud provides to get building in the programming discipline you like building with best. Don’t worry if there’s one you use that isn’t listed. You can either reach out to Kentico Cloud or factor this into your architecture by abstracting Kentico Cloud. I strongly recommend taking the time to think this through to make sure you reap the benefits of the decoupled approach. Even in traditional content management systems, the editor experience was always important. Ensuring that editors could quickly and efficiently create, update and publish content was a key factor in the success of projects. This is just as important, if not more so, in the world of API-first CMS. Creating omni-channel content requires a different mindset. Training can help and the simple and intuitive UI of Kentico Cloud definitely helps but a carefully constructed set of content models can go a long way to making your content editors feel right at home. Planning out content models should be a collaborative activity and there’s never been a more compelling case for cross-functional teams. Getting content editors, strategists and developers into the same room to map out content models is a great approach and will give you a better product. However, there’s another side to content modelling. Like many CaaS products, Kentico Cloud offers a range of plans and these plans are based on certain limits and metrics. One of these is the number of content items – slightly different from others who focus on content models. However, you should take this into consideration. If your content modelling isn’t done just right, you can end up with reams of unnecessary content items which in turn will affect your plan. Like with architecture, plan up front to avoid pain down the line. Delivery API lets you pull content from Kentico Cloud to your web applications and digital devices. Content Management API v2 (BETA) lets you manage and publish content in Kentico Cloud. 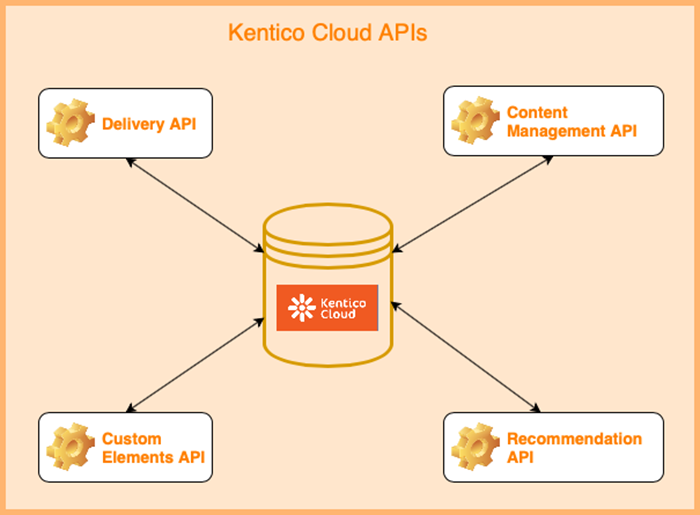 Content Management API v1 lets you manage content in Kentico Cloud. Recommendation API (BETA) lets you provide personalised content recommendations to your users. The first thing to note is that your choice of plan will determine which APIs you get access to. Bear this in mind when planning your architecture! The second thing is to understand the outputs from Kentico Cloud. The final result is going to differ based on whether you leverage GraphQL or not but this will give you a great starting point. There are some great ways to get familiar with this and that is via Postman API checker. You can use Kentico Cloud documentation to place a collection (series of API request examples) inside Postman. Here you can update the Project IDs and API keys from your individual projects to see what you would get from Kentico Cloud in the form of JSON outputs. I’ve mentioned this a couple of times now and it’s a big consideration. You can always start with the Starter plan under their subscription section. This will allow you to have a play around and experiment with the CMS. Depending on what comes out of your architecture, content modelling and API requirements, you should be able to define the plan that you need, and you can always reach out to Kentico or your Kentico Partner to get clarity on the right plan for you. The Kentico Cloud team are a busy bunch and are continuously refining and enhancing the Kentico Cloud platform, focusing on features which the audience wants. They have regular releases throughout the year – far more so than Kentico EMS. If you want to keep an eye on what features and functionality will be available in the future it is recommended to keep an eye on the Kentico Cloud roadmap. Here you will see what is being considered for the future to be included in the product, what is due to be released and what has been completed already. The roadmap area also gives you the opportunity to suggest new features and enhancements to help steer the future of Kentico Cloud. There’s some exciting stuff in the pipeline – including the enhancements to the Content Management API – which will let us programmatically create and modify content models and taxonomy, functionality that slots perfectly into our advanced DevOps practices! There is a growing community for Kentico Cloud and as this expands more and more, the developer community will continue to grow in different programming disciplines and allow people to contribute to open source elements that can include plugins and connectors that would increase the number of people looking to get started with Kentico Cloud as well as those people in the community who are looking to connect Kentico Cloud with new and emerging technologies. Sharing best practices and insights is vital to delivering outstanding experiences for all clients and will go a long way to establishing Kentico Cloud as the go-to product in the CaaS space! The Kentico Cloud team are always looking for feedback. They’ve been highly proactive in reaching out to the community to gather ideas on enhancements and extensions. You can send your views and feelings towards your experiences with Kentico Cloud – through the main website and through features within the product UI. I particularly like the chat functionality that Kentico Cloud provides on the website as it allows you to ask specific questions regarding the product and clear up anything that may seem straightforward. The team are really helpful in helping you resolve any issues and questions you may have. And if they can't answer it there and then, they will email you with the answers and potentially connect you to the relevant member of the Kentico Cloud team that could help you further. Hopefully, this has been a useful guide to getting started on Kentico Cloud and has highlighted key considerations for you before diving into this exciting omni-channel world. If you’re interested in exploring CaaS and the wider decoupled / microservices architecture for your own business, you can get in contact with us to discuss how this approach will help your business and see how MMT Digital can support you in this journey.